WHEN a Haslingden butcher was announced as the most innovative business he received a standing ovation from the borough’s Mayor. 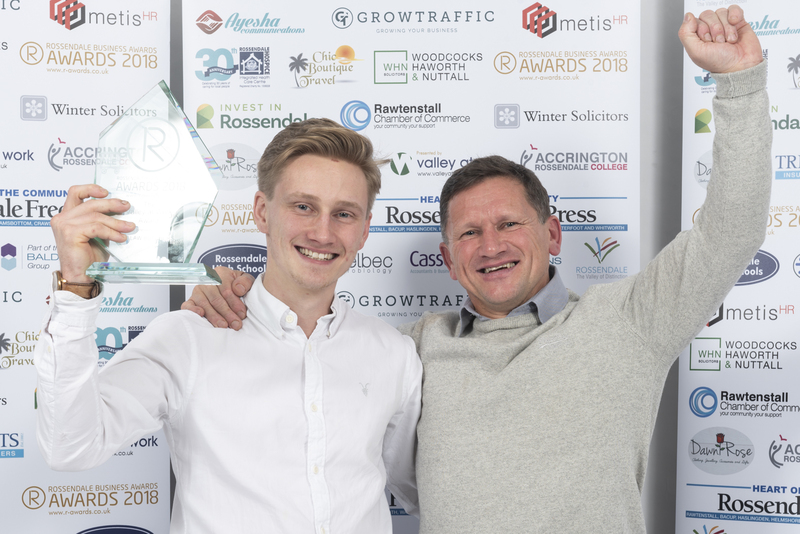 Councillor Ann Kenyon, and the rest of the audience at the ninth Rossendale Business Awards, applauded Darren Law of DT Law butchers for his innovation and ambition. At a packed function hall at The Riverside, Whitworth, Darren was awarded the top Valley at Work Award, a beautiful glass trophy engraved by Alexis Valentine of Walking on Glass with scenes depicting The Boo to celebrate the Horse and Bamboo Theatre’s 40th anniversary. That next league involved buying next door, knocking through and expanding the business. He not only won the top award, he also netted the Business of the Year trophy for companies employing more than 11 staff. He is now planning to celebrate the success by refurbishing the shop and his collection of trophies will be back on display at The Riverside when he has a stall at the Christmas Fair. It was an evening of celebration and a cheer went up when Anna’s Café Bar, in Weir, won the Invest In Rossendale title. Anna Preece took to bold decision to invest in an empty shop and provide a hub that the whole community has embraced. Describing the event as fantastic Rossendale’s Mayor Coun Kenyon urged everyone to do more to encourage enterprise in young people. The awards are organised by Valley at Work and Chair Rob Carder said this year’s had the highest number of nominations. This year the Rossendale Free Press award for corporate social responsibility was linked with the Rossendale Hospice Business Challenge. Businesses were given £50 and asked to make it grow, using their skills. The money raised by the six participating businesses, along with a raffle on the awards night, raised nearly £6,000 for Rossendale Hospice. Half-time entertainment was provided by young members of Dansworks Dance Academy in Bacup.